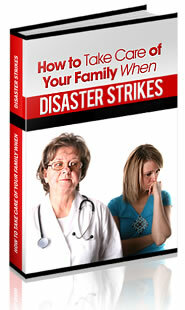 Emergency preparedness is essential for families. Depending on where you live, your family can be subject to natural disasters, pandemic infections, food shortages, and even terrorist attacks. Taking the initiative to prepare an emergency kit is a critical component to protecting your family. While an emergency preparedness kit can include different things for different situations or geographic areas, there are some guidelines as to what all of them should include. Survival experts suggest having a three day water supply. The amount needed can increase depending on age, diet, climate, and temperatures. The kit should include sufficient water for each family member to drink as well as enough to use for food preparation. Keep your bottled water supply unopened and do not keep it past the expiration date. Experts also suggest keeping a three day supply of food for each member of the family. If you choose to put a food kit together yourself, make sure to check expiration dates regularly. It would do no good to have food in an emergency that may have expired and could potentially cause illness. There are food reserve companies that offer products that have a shelf life of over 15 years. These are convenient because you do not need to check the expiration date frequently, they only require water to make, and the taste is exceptional. A first aid kit should include all the necessities for cuts, burns, and other injuries. There are numerous first aid kits available at many of the discount stores or it may prove cheaper to make your own. Regardless of whether you buy one off the shelf or do it yourself, be sure there are ample supplies for your family size. If a family member has special medications, be sure to put those in also. Keep copies of any legal documents such as passports, ID cards, social security cards, and health care records in a plastic bag within the kit. You may also want to keep copies of credit cards and other information you could potentially need. Depending on your family size and requirements, keeping cash in your kit is a good idea. If banks were to unexpectedly close you may not have access to money otherwise. You may want to include items such as candles, matches, flashlights, a portable radio, batteries, and extra clothing and shoes. If your children are young, put clothing in your kit that is a size or two larger. It is easier to fit a child into bigger clothes than clothes that are too small. It may take a little time to gather up the things you need for your emergency survival kit, but once you have it all together it can give you great peace of mind. Not only will you be able to take care of your family in case of disaster, but you will also be prepared to pick up and leave immediately in case of emergency. « 101 Ideas for the Ultimate Bucks Party!